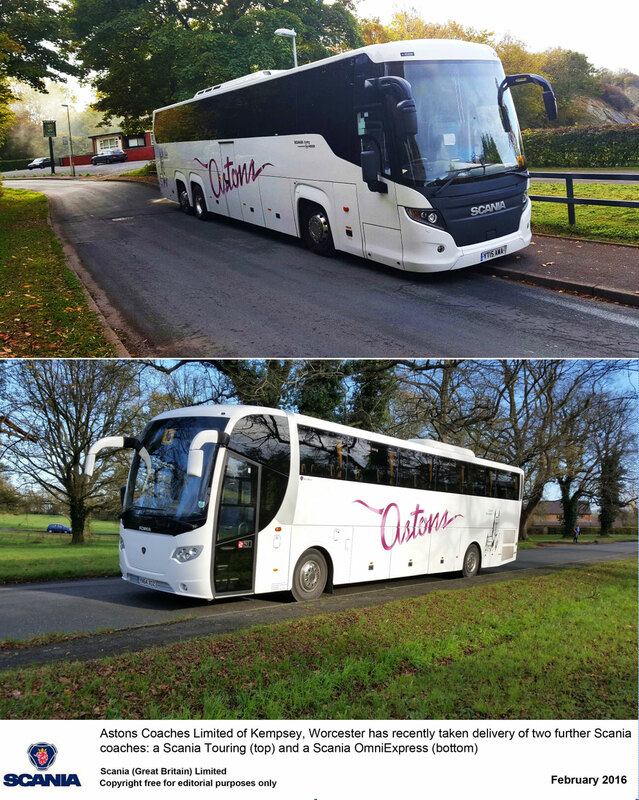 Astons Coaches Limited of Kempsey, Worcester has recently taken delivery of two further Scania coaches, both of which are former demonstration vehicles. Astons Coaches Limited of Kempsey, Worcester has recently taken delivery of two further Scania coaches, both of which are former demonstration vehicles. The first is a Scania Touring fitted to Scania’s Euro 6 K 410 EB6x2*4 chassis and the second is a Scania OmniExpress on a Euro 6 K 360 EB4x2 chassis. Both vehicles have Scania’s fully automated Opticruise gear selection system. The highly appointed touring coaches feature a range of equipment including, Bosch Audio/Video, climate control, washroom, serveries, fridges and reversing cameras. The Scania Touring provides seating for 57, while the OmniExpress can accommodate 53 passengers. Both coaches come with Scania’s standard two year repair and maintenance programmes, which will be managed by Scania dealer Keltruck’s Droitwich branch. As with all new coaches sold to retail customers, driver and technical training is offered, and in addition Astons will receive weekly fleet management reports covering vehicle and driver performance analysis. Astons now operate a fleet of 56 vehicles engaged on a variety of bus and coach services, contracts, European tours and private hire. 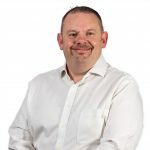 Richard Conway, Managing Director of Astons Coaches says his company has continued to favour the Scania brand because “It’s an all-round winner.” Mr Conway feels the Scania brand is very reliable, fuel efficient and aesthetically pleasing. The new coaches also fit in with the company’s current collection of 23 Scania vehicles.